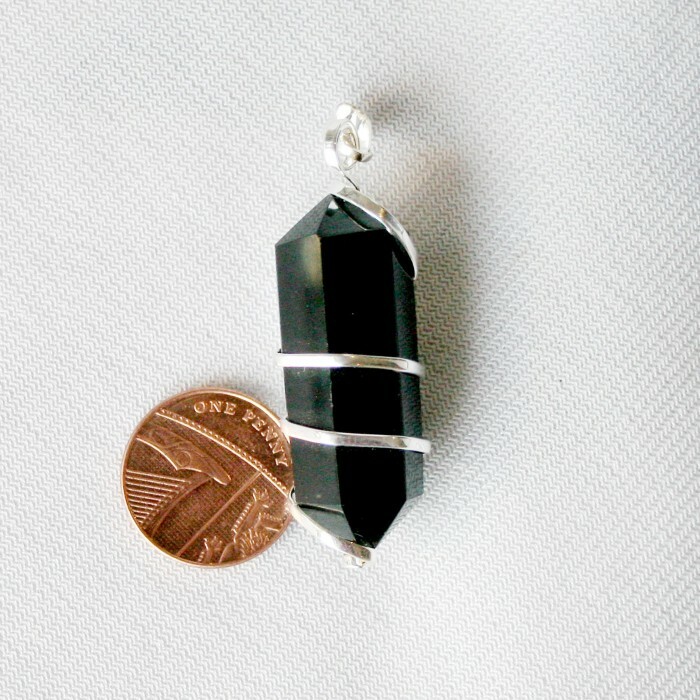 Black Tourmaline •	Also known as Schorl •	Crystal silicate mineral and a variety of Quartz. •	8th Anniversary gemstone. •	Chakras - Base Chakra •	Zodiac - Virgo, Libra, Capricorn •	Element - Earth •	Typical colours Black, •	Flexibility •	Happiness •	Objectivity •	Compassion •	Serenity •	Balance •	Positive transformation •	Healing •	Strength •	Tolerance •	Understanding •	Aids in understanding oneself and others. •	Promotes self-confidence and diminishes fear. •	Attracts inspiration, compassion, tolerance and prosperity. •	Balances the right-left sides of the brain. •	Helps treat paranoia, overcomes dyslexia •	Improves hand-eye coordination. Swiss breitling replica on sale online. •	Releases tension, making it helpful for spinal adjustments. •	Balances male-female energy within the body. •	Enhances energy and removes blockages. •	Can be used to both repel and protect against negativity. •	Excellent for deflecting radiation energy. •	Enhances ones physical well-being by providing an increase in physical vitality, emotional stability, and intellectual acuity.